Who better to look after your savings fund then a villain! 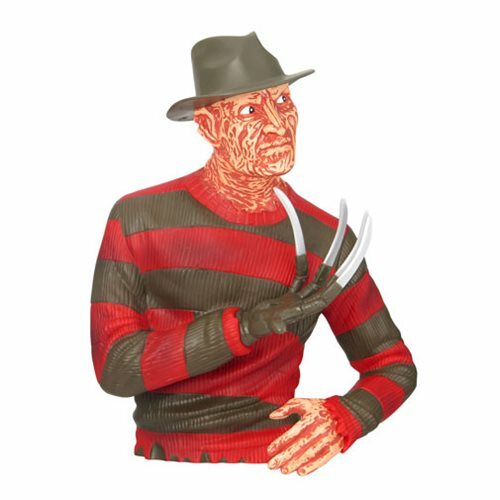 This molded bust bank is sculpted to look just like Freddy Krueger from A Nightmare on Elm Street. Measuring approximately 8-inches tall, this Nightmare on Elm Street Bust Bank will look great on your desk or book shelf! Ages 4 and up.